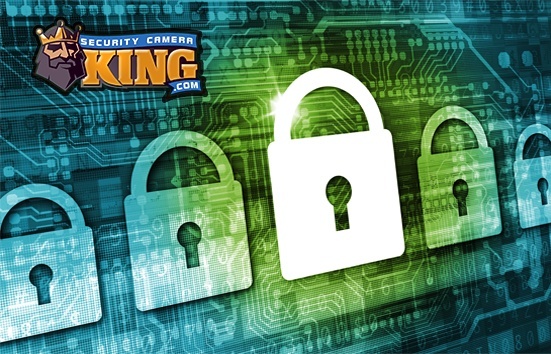 A closed circuit television or CCTV digital video recorder can provide the security and/or surveillance you need for your home, office, business, or industrial setting. For residential applications, a CCTV digital video recorder can protect your home and give you the peace of mind even when you are away of knowing that things are secure. For commercial applications, nothing provides cost effective security and surveillance as well as documentation than a CCTV digital video recorder. What exactly is a CCTV digital video recorder? A CCTV digital video recorder is any device that can save and store digital video data, usually in the form of a digital video file that can be retrieved, copied, and played back through a monitor at some later time. Security and surveillance type cameras first got the name Closed Circuit Television or CCTV to differentiate them from television cameras. The original security and surveillance type video camera was basically just a smaller version of the video camera television studios used to record television shows such as variety shows, sitcoms, dramas, and news reports. Television cameras were attached to transmitters that broadcast the signal over vast areas so that anyone with a television (in essence a receiver and monitor) could monitor the signal. CCTV was used in reference to video cameras that were each connected to a video recorder. Each camera has a video transmission cable, usually a coaxial type RG-59 cable, which runs from the camera to the recording unit and monitor. The only way to receive the camera’s signal was to be in a closed circuit with it via the video transmission cable. Since these cameras didn’t broadcast their video signals publicly, they were called Closed Circuit Television or CCTV. Today, CCTV is used a little more loosely, too mean a designated system of cameras, receivers, and recorders not intended for public broadcasting. For example, individual digital video cameras today can transmit their video signals via radio signals to receivers or Digital Video Recorders or DVRs. Although it may be possible for someone to intercept the signal, it is not intended for public broadcasting and in effect, is a closed circuit type of television. In the security camera industry, a CCTV digital video recorder is usually thought of as one of three integral components in a digital video security system. The other two are the digital video camera(s) and an LCD monitor. 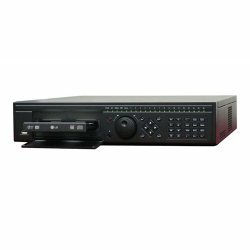 For residential or commercial standalone digital video CCTV systems, the DVR is basically the equivalent of a personal computer hard disk drive connected to a high specialized type of computer processor called a Digital Signal Processor or DSP. On these units, the CCTV digital video recorder unit is still connected to each individual camera in the system; however, as mentioned earlier they may now be connected by a specific radio signal transmission. The DSP interprets the digital data sent to it by each digital video camera and then creates a digital video file. Unprocessed digital video files can become extremely large in a very short period of recording time, so the DSP usually applies some sort of COmpression/DECompression or CODEC utility. This CODEC utility processed the digital data in such a way as to greatly reduce the size of the file while still maintaining high video quality. Standalone CCTV digital video recorders do not require any additional equipment (such as a computer) for processing or storing the video, hence the name “standalone.” The actual DVR is the same sort of device used for a personal computer’s hard disk drive. As a result, the benefits of advanced computer technology and storage features have been passed on from the computer industry to the security camera industry in regard to the DVR. These standalone CCTV DVRs today normally have storage capacities that range from 250 gigabytes to over 1 Terabyte. This coupled with modern CODEC utilities this translates to longer periods between overwrites when a disk becomes full and even greater capacity to store multiple cameras at once. In addition to magnetic disk drives, CCTV digital video recorders may be in other formats as well. Although the hard disk drive is probably the fastest, cost-effective method for storing standalone system digital video, small portable units are becoming popular as well. These units may use any of the portable memory card media (such as Compact Flash, SD, etc.) or even Flash Thumb drives as the storage media of choice.